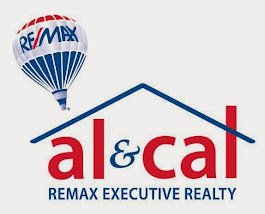 For those of you that know me, know that I have been selling and marketing real estate for the past 24 years. I love helping folks move into or from their homes. I feel that I am an empathetic person with a good ear and heart. For my Sellers, the process begins as I hire a professional Stager to come in and help them get their home ready for market. We all know that we don't present a home for market like we actually live in it. Once we are ready to go, it's showtime and the showings begin. Those photos have to be perfect, the home has to be ready, and once we secure a buyer they have to be ready to move when that closing date comes.... and so the tale begins. never the less...it's time to make my move. I have been packing and cleaning and lifting and making trips to the goodwill for days now. Where did all this stuff come from?? It seems never ending and certainly overwhelming! When I think of all those times that one of my Sellers balked at the Stager coming in and changing their home around and I nodded understandingly... NOW, I Really Get IT! When I think of all those times that one of my Sellers didn't want to show the house one day because it wasn't show ready and I encouraged them to show it anyway.... Now I UNDERSTAND! When I think of all those times that one of my Sellers was crying because the moving process was stressful and I gave them a hug... NOW, I UNDERSTAND! When I think of all those times that one of my Sellers needed more boxes and I thought to myself, wow, where did all that stuff come from as I brought them more boxes... NOW, I GET IT! When I think of all those times that one of my Sellers couldn't get out fast enough as I picked up a broom and helped them sweep... NOW, I REALLY UNDERSTAND! When I think of all those times that one of my Sellers needed to take a day off from getting ready to move and I encouraged them to forge on .... HELLO???? And, Last but not least, when I think of all those times, when a Seller told me how emotional it was to leave their memories behind and I said I understood.... But really didn't. I Confess, I DO NOW! Will this Moving Experience Make Me a Better Realtor? Honestly the answer is no. I will always do my job to the best of my ability. What this moving experience will do though, is make me have a better understanding of how difficult the process is no matter the reason for the move. I can know from experience how hard it is to pack box after box and take trip after trip to the transfer station. I can know from experience how hard it is to have every inch of that home sparkle for the new resident. 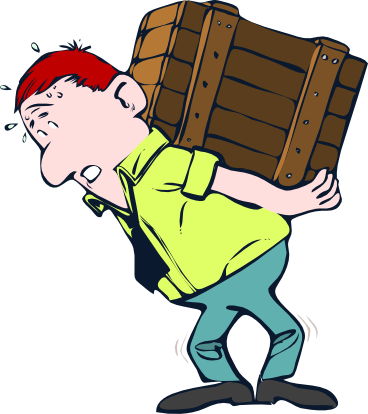 I will encourage folks at any age if they financially can to hire a professional mover and cleaner. My thoughts on closing gifts have shifted. I am now thinking a gift certificate for a massage might be just the ticket! It is Valentine's Day. 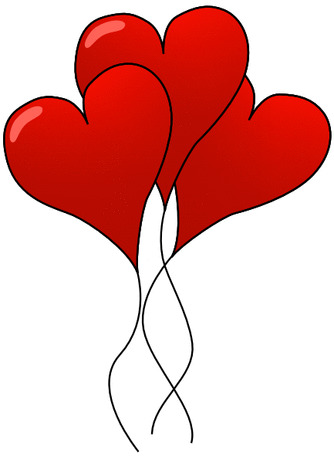 I was thinking of all the couples that I have found homes for and how happy there are/were in their new homes and how lucky I am that in most cases I have been a part of a very happy moment for many, many young couples. There are many stories to be told, but this is a really good one! There was this amazing young couple that I had sold a home to when they were just married. They were hard workers with good professional jobs. The purchased a new home and were delighted and delightful to work with. Even the builder though so. It was no surprise to me when they called me up to say that their family had grown and it was time to move up to a larger home. We began the search and looked at many homes. Their wants were specific as were their locational needs. I knew exactly what they were looking for and after time the perfect home came on the market! I contacted them and said, "I have the perfect home!" I told them where it was and they were hesitant. Too far from the train, etc. "Can you humor me?" I asked them to drive by. They did. The Buyer called me and asked me to get them into the house pronto!!!! I did. They bought it. Turns out... when they were first dating many moons ago... leisurely driving around as young lovers do, they fell upon this neighborhood. The husband (then boyfriend), said to the gal... that is the house we are going to live in. Yep...the very same house! That friends is my Valentine's Day true love story! PassCode That Phone My Friend! Lesson Learned from I Phone Lost! Lesson Learned from I Phone Lost ... and then found. BUT, this is a blog about the lesson from it being lost. In a very crowded place last week, I set my phone down on a counter and walked away. Not intentionally, but never the less. About 40 minutes later, I went to check it and that's when panic set in. I know most of you have felt it. Phone gone. The search begins through your pockets.. and through your pockets again, and then again! The realization sets it. You Idiot!!!! You left it on the counter. There is no way it will still be there when you get back, but you go on the hunt anyway. It seems like hours, literally hours to walk the 10 minutes back to the place where you were. The entire time, your head is spinning! You look sheepishly around, and not seeing it, you start asking around... not so sheepishly, I might add. Did they hear the panic in your voice???? I'm sure they did! Some older man, cigar in mouth, says nothing, but moves his arm, and there it is ... my phone! Remember the old commercial... "how do you spell relief?" I am not sure what to do at that point. Do I kiss the cigar smoking man?? or, do I just offer my gratitude like 100 times. Okay, you guess. I'm pretty lucky that this man a) just held on to the phone knowing I would come back, and b) probably had no clue how to access my info... or did he??? From the time I realized that the phone was missing, what started going through my mind was all the texts and private emails never mind the contacts that whoever found my phone had access to. All kinds of business information in emails that was meant just for me. OMG! All those personal messages that friends send to each other about life.. that you know, that should just stay between friends! That 10 minute walk from hell was enough to make me realize that I was a fool not to passcode that thing. Sure, it would cost me some money to replace a lost phone, but that is the easy part! Those confidential or not so confidential messages, contacts and phone numbers will be impossible or hell to replace.. That right there is the real problem! 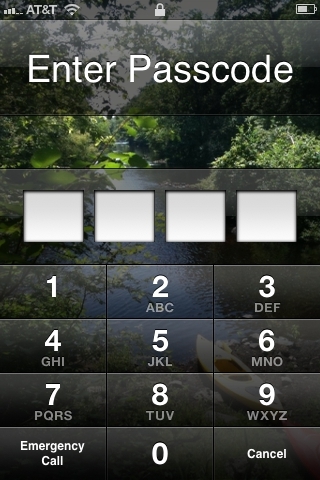 My phone today is passcoded. FYI, I can answer it without punching in the code. Yea, I have to put the code in to access anything else, but who cares???? Not me... the info is protected.